The No. 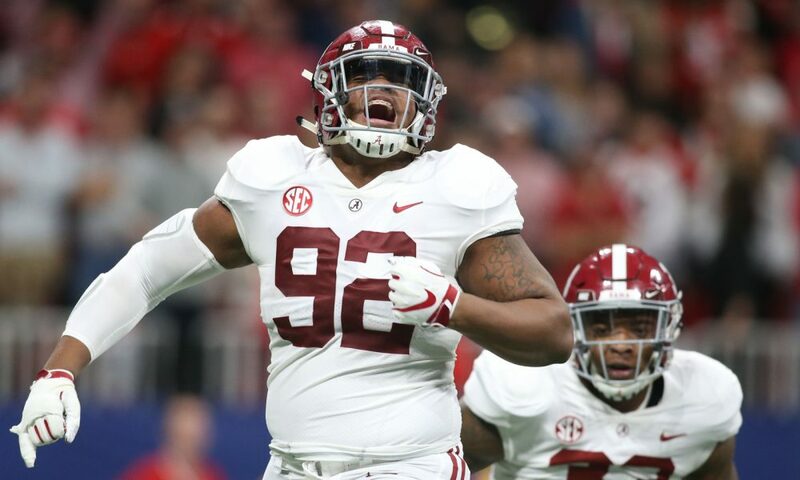 1 Alabama Crimson Tide remain the betting favorite to win the 2019 college football national championship, while Crimson Tide starting quarterback Tua Tagovailoa once again topped the Heisman Trophy odds. The Wisconsin Badgers (+1200) overtook the Auburn Tigers (+1400) for fifth place, but the top five in the title odds otherwise remains the same from Week 2, which isn't all that surprising. The No. 15 Michigan State Spartans were the highest-ranked team to go down this past weekend. Somewhat surprisingly, the No. 21 Michigan Wolverines were big movers in the national championship betting line, going from +7000 to +3300. They defeated the Western Michigan Broncos 49-3 at home, which isn't much of a statement victory. Shea Patterson was 12-of-17 for 125 yards and three touchdowns, while Karan Higdon had 156 yards and a touchdown on 13 carries. That may have allayed some fears about an offense that struggled for much of Week 1 in a losing effort to the 12th-ranked Notre Dame Fighting Irish. While Tagovailoa's Heisman stock remains steady after a 228-yard, four-touchdown day, Bryce Love is heading in the opposite direction. The Stanford Cardinal running back carried the ball 22 times for 136 yards and a touchdown in a 17-3 win over the USC Trojans. Despite those strong numbers, Love's odds went from +1200 in Week 2 to +1600. Stanford plays the UC Davis Aggies on Saturday and then has games against the No. 20 Oregon Ducks and Notre Dame, both of which are on the road. Now might be the time to buy low on Love because his Heisman candidacy would gain serious steam if he looks great in those two Top 25 matchups.